11G, Jalan Solaris 4, Solaris Mont Kiara, 50480 Kuala Lumpur. 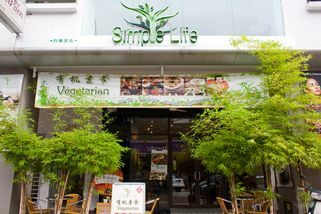 Part of the Simple Life Healthy Vegetarian Restaurant chain. From Mont Kiara, drive straight to Solaris. Turn left into the shoplots. The restaurant is on the street right before the supermarket. 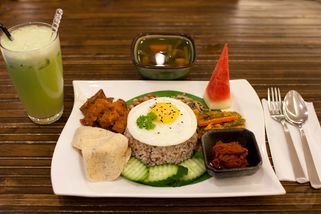 Simple Life is a new concept of restaurant that’s targeted to health conscious folk. 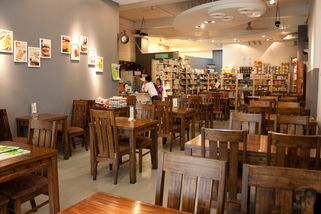 All their dishes are vegetarian and are made with organic ingredients. 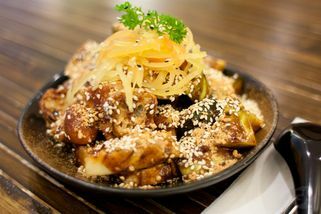 Simple Life believes in serving food that’s healthy and nutritious, yet tasty. 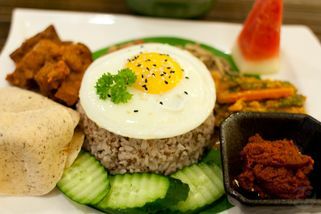 Amongst the most famous dishes served at Simple Life are: Lei Cha with brown rice, ginger extract with brown rice mee sua, vegetarian nasi lemak, curry laksa and popiah. 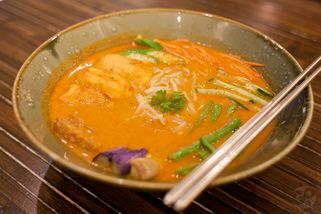 There’s absolutely no artificial colouring, preservatives, or MSG added to all the food served here. Simple Life at Solaris had an ambience that is very relaxing and down-to-earth, with lots of wood motifs everywhere. They also sell organic products on the shelves here. 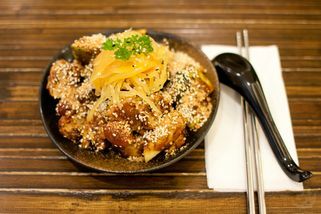 No plan want to eat where, but my friend told me that she want to eat vege today. So I choose come to dine in here. If you like some spicy taste like ginger, can try The citronella tea with brown sugar. Brown Sugar are good for lady, but good quality are not easy to find in market.